Easier and more affordable than ever. iSen is a motion capture and biomechanical analysis system based on STT's inertial sensors (STT-IBS). The sensors provide orientations (angles) as well as angular velocities and accelerations. The use of advanced algorithms (Kalman Filters) overcomes the usual drift problems associated with inertial sensors. STT inertial wireless sensors are connected to the computer via Bluetooth or Wifi connections. Up to 28 synchronized sensors can be used at the same time in a PC. An application for handheld devices is also available. The iSen system is composed of a variable number of inertial sensors (IMUs) and a software package to analyze the results. 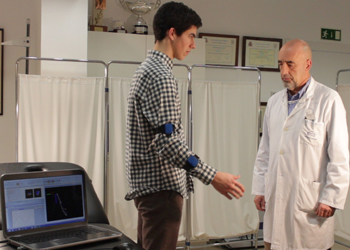 iSen can measure the biomechanics of the human motion or any machine motion like a robot, etc. 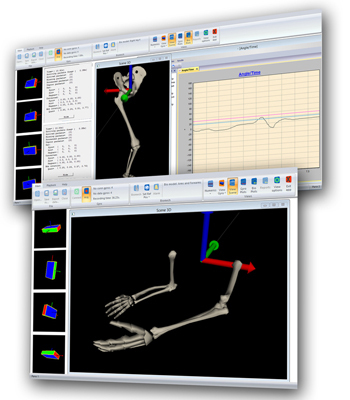 iSen is a powerful tool for human motion analysis. There are literally unlimited areas of research and study - but STT provides some key biomechanical models and protocols in order to guide the user from day one. Using iSen you can perform objective and accurate gait analysis in minutes - with realtime biofeedback as an add-on. Your results are produced instantly, and the data is clear and easy to interpret. 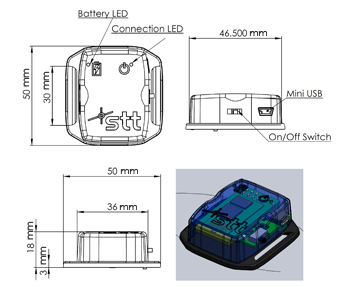 The STT-IBS is a revolutionary 9 Degrees-of-Freedom Inertial Measurement Unit (9DOF IMU = Accelerometer: Ax, Ay, Az; Gyroscope: Gx, Gy, Gz; Magnetometer: Mx, My, Mz; 250Hz) inertial sensor. It computes 3D rotations from the raw signals provided by the 9 sensors. The self-contained STT-IBS has everything needed for motion measurement, in a small light weight package; 36 x 15 x 46.5 mm, 30 gms. The attractive light and slim line package can easily be worn on the wrist, leg, around the waist or on any part of the body. 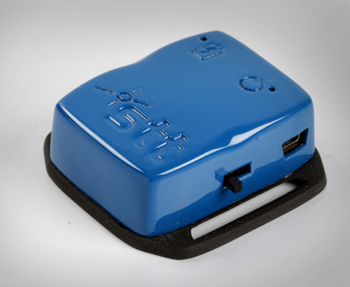 The STT-IBS can communicate wirelessly with either a laptop or a smart phone; in fact with any Bluetooth-enabled host. This opens the door to other applications such as motion biofeedback or motion data logging with the sensor on your body, talking directly to a cell phone on your hip or a laptop on the desk. Specially designed straps improve the efficiency of preparation, reducing the time needed for subject setup. It is ideal for measuring motion and orientation of any part of the human body. Each sensor is small and compact. The iSen can be run on a Windows powered tablet, and an Android API is also available. Reporting is visual and automatic - include any datasets in your reports with a few clicks of the mouse. Full-body motion capture is easy with the iSen - use up to 21 sensors together for a full body capture! iSen is an amazing tool for clinical work - portable, affordable, and extremely user friendly.